I’m ready for soup season. There’s nothing that says fall like a big bowl of lentil soup or vegan tomato soup. But my favorite thing is the homemade rolls I serve on the side. 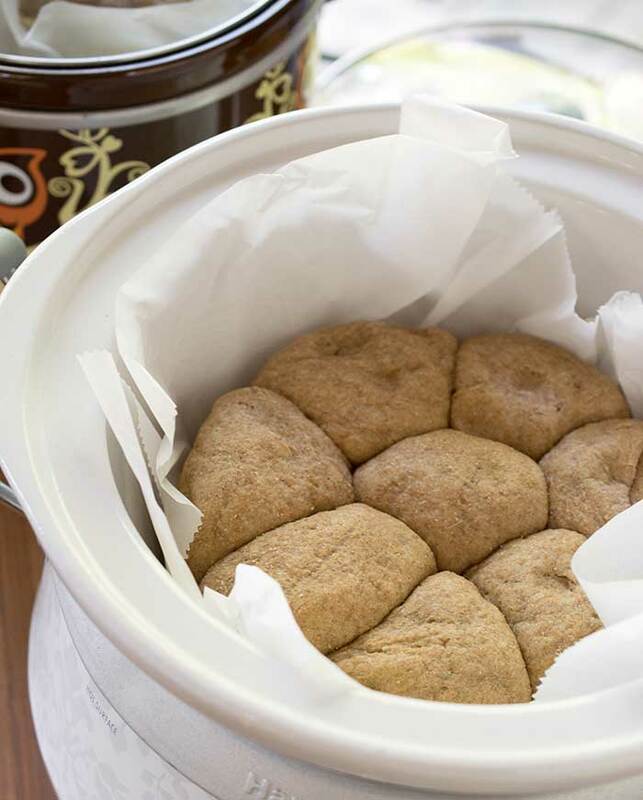 This recipe for Slow Cooker Whole Wheat Spelt Potato Rolls is so easy to make you’ll find yourself making them all the time. 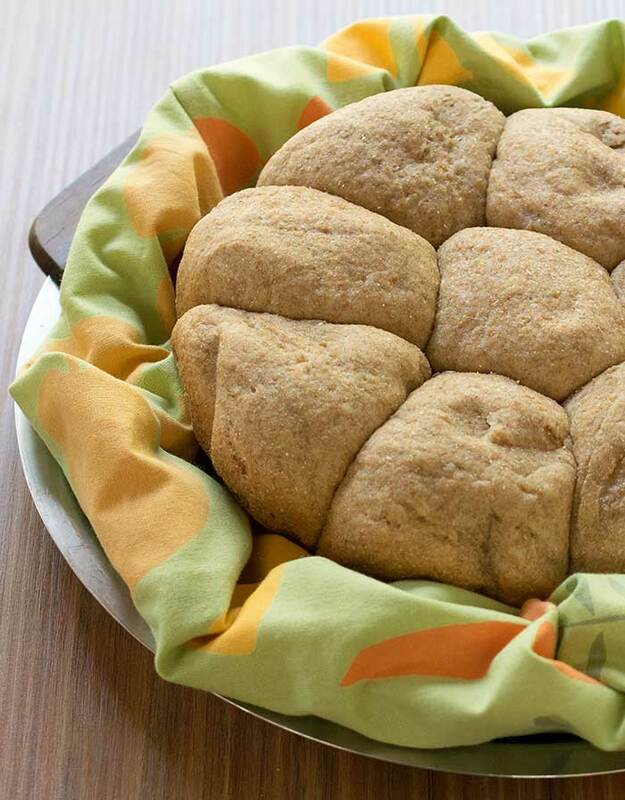 If you’re gluten-free be sure to check out my Teff Oat Rolls. This is another post in my series of recipes sponsored by the Idaho Potato Commission. The mashed potato and the starchy potato water makes these rolls are super moist. I made a double-batch of dough and cooked one set in a 4-quart slow cooker and another in a 3-quart. They both worked great and you could probably use a 5 or 6 -quart crockpot as well. I like using a round slow cooker because of the way the rolls cook together,but an oval could look pretty cool too. You could bake these in the oven if you prefer, but with the holidays coming up I thought you might need this slow cooker recipe. 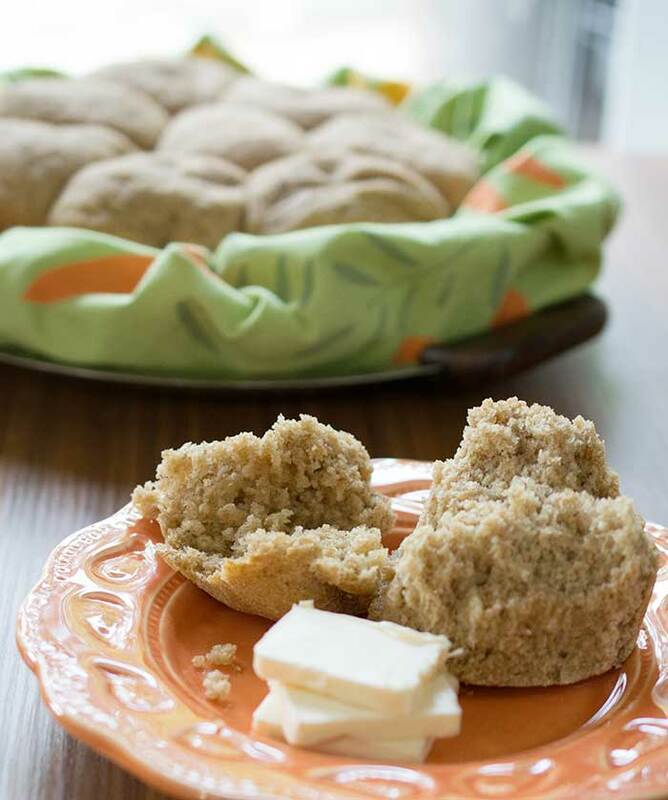 There are times like Thanksgiving when your oven is full and you still need to make some homemade rolls. This recipe is perfect for big meals made in a small kitchen. 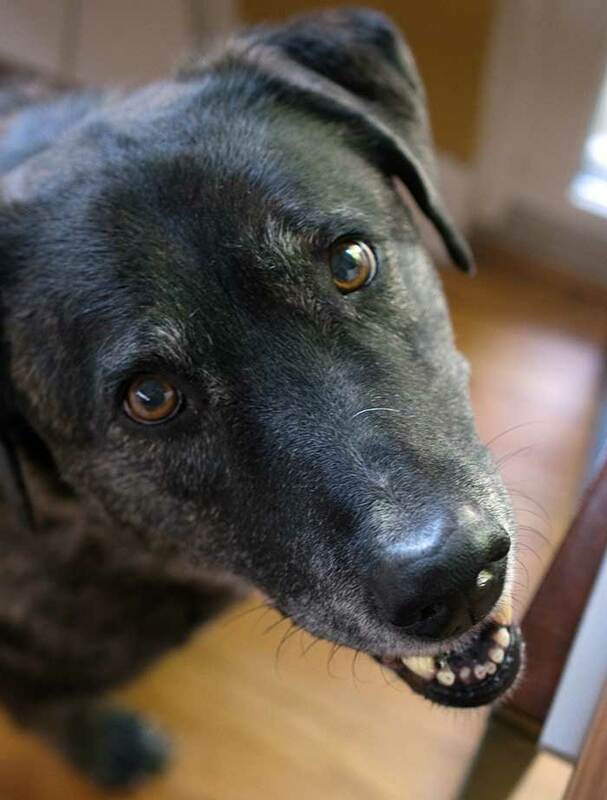 Throughout the whole photo shoot my dog, Brenna, was trying to sneak one of the rolls right from under my nose. You can see her devilish grin in the photo. She may be over 10 years old but she’s still full of mischief. You’ll notice that the rolls do brown around the edges, so take care that they don’t burn. You can always pull up the paper to check them since they will not brown the same way on the top. If you’d like to brown them on top, just remove the crock and put it in a 350 oven until they brown on top. Growing up my Aunt made these fluffy yeast rolls for all the holiday dinners. I was amazed when she told me her secret was mashed potatoes and the water she cooked them in. My recipe uses whole grain flours and with the potatoes they are just as moist as the original. It also uses an ingredient that may be new to some of you - aquafaba. Hidden behind its fancy name, chances are good you already have some in the pantry. 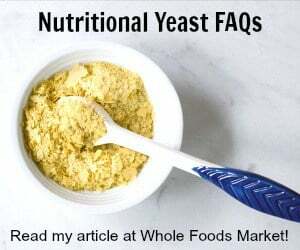 It’s latin for bean water and if you have a can of chickpeas, just put a strainer over a bowl pour out the contents and the liquid you have is aquafaba. It takes the place of eggs in baked goods and you can even make vegan meringues with it! Make sure the potatoes and potato water has cooled to room temperature so it’s not so hot that it kills the yeast. Add the aquafaba, olive oil, salt and spelt flour and mix well. Remove the paddle and put on the dough hook, add the whole wheat flour and knead on a low speed for 8 minutes. If your dough is too wet and doesn’t form into a ball, you may need to add extra flour. Add ¼ cup at a time until the dough firms up and form a ball around the dough hook. You can use any slow cooker, though I prefer to use a round one. I made one batch in a 3 quart and another in a 4 quart and both worked fine. 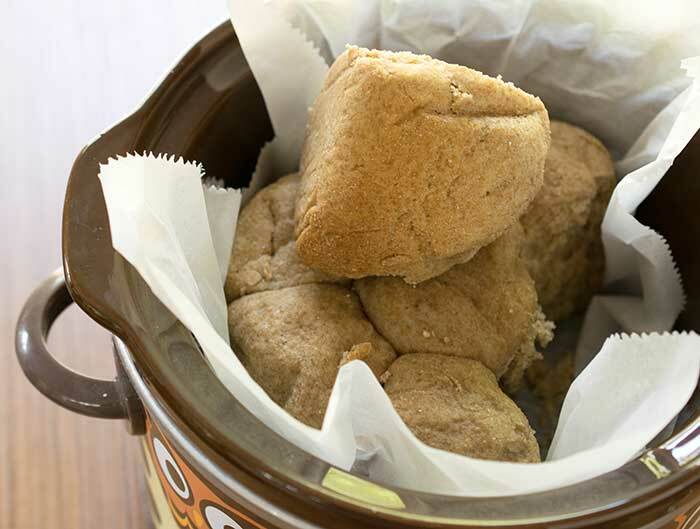 Prepare your slow cooker by lining with parchment paper so the rolls will be easy to lift out. Sprinkle some flour on a cutting board and put the kneaded dough on it. Divide into 8 even pieces and roll into balls. Place these in the lined slow cooker. Cover the top of the crock with a clean dish towel or a few paper towels under the lid. This keeps the condensation from dripping on your rolls and making them soggy. Let rise in the slow cooker by cooking on low for 45 minutes. Then cook on high for 45 minutes to 1 hour. The tops won’t brown like the would in the oven, but you can tell if they are done by looking at how brown the sides are. I can’t believe I left that out. It’s added in the recipe now. Thank you so much for letting me know! Oh my, this looks wonderful! The only problem I have is I don’t have a mixmaster (old term, I know) or anything that resembles it. Would you be able to give me the directions for doing this by hand? I do have a small, hand held electric mixer, but unfortunately, it didn’t come with a paddle attachment. You would just knead the dough by hand. I have some issues with my wrists and that’s why I use the mixer now. The trick is to knead the dough until it feels like your earlobe. These look great! I follow WFPBNO so was wondering can I leave the oil out? Thanks. I haven’t made them without oil, but it couldn’t hurt to try. These look delicious! I’m wondering if applesauce could be used instead of oil to make them oil free? These look great. Can I shape them into a hot dog bun and bake that way? I would think so. I would bake them in the oven though. I made these and they were wonderful. One question though…your recipe calls for 3/4 cup mashed potatoes. Do you actually boil the potatoes & then make a mashed potato recipe to use for these rolls? Or do you simply boil the potatoes and mash them & use those? I used the latter & it worked. Could you use dehydrated real potatoes & if so, what would you use for the potato water? Thank you.